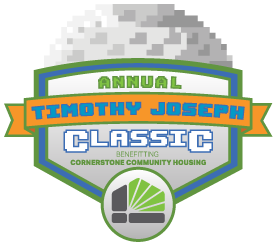 Ruby Porter Marketing & Design and Partnered Solutions IT are proud to present the second annual Timothy Joseph Classic, benefiting Cornerstone Community Housing. This 18 hole golf tournament is the brainchild of CEO and owner, Robert Steck, with the goal to create a fun and affordable golf tournament for everyone while benefiting an organization that is near and dear to his heart. Since 1992 Cornerstone Community Housing has been committed to building quality, affordable housing for people living on limited incomes while offering services that promote opportunities for personal growth and economic independence. Cornerstone connects residents with vital resources and empowers people to unlock their full potential for a brighter future. One of Cornerstone Community Housing’s residents happens to be Robert’s brother and the namesake of the tournament, Timothy Joseph (TJ) Steck. 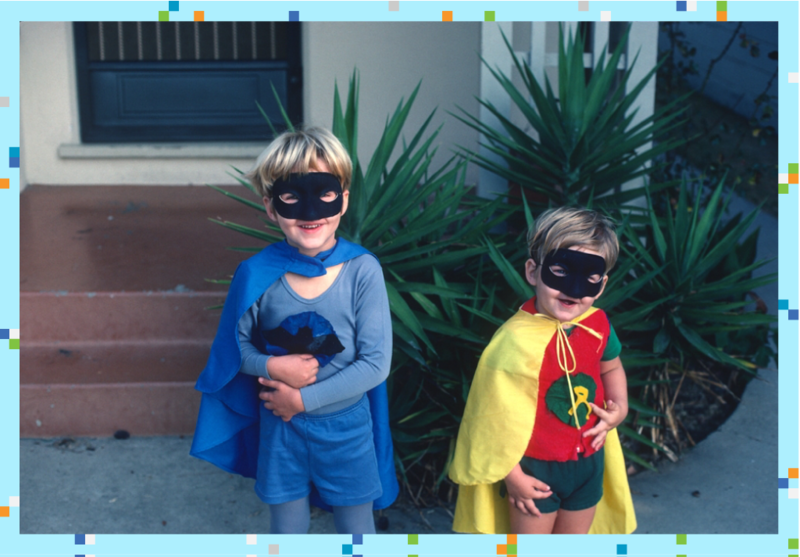 TJ is on the autism spectrum and is one of the kindest, sweetest and most generous people you’re likely to come across and has always been an inspiration to Robert. In honor of TJ, this tournament is named after him. Supporting the Timothy Joseph Classic will benefit our community in unimaginable ways. Even the smallest amount can make a difference, and all profits from the tournament will be donated directly to Cornerstone Community Housing to help ensure that families and individuals like TJ have a safe and stable place to call home and a community to take pride in and call their own. Check Out the Impact We Made in 2018! Without generous sponsorships from our partners, the Timothy Joseph Classic could not have the impact that we envision. In addition to benefiting an essential community organization, sponsors have the opportunity to advertise their business to participants: increase brand awareness, talk with potential customers, and give back to the community in the meantime. 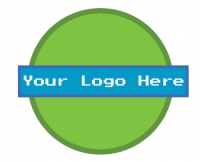 View our packages to see the variety of sponsorship options we offer, or make us an offer yourself! Click to be our Platinum Sponsor! Be sure to check out our Level (hole) Sponsors when you’re out on the course! Hole #1 – For $5/player Bring out the big guns and fire our ball cannon in place of your drive. Hole #4 – Player whose ball lands closest to the hole wins a prize! Hole #11 – Player with the longest drive in the fairway wins! Hole #10 – Sponsor this game! Hole #17 – If you can hit your ball into the ring, you win a prize! 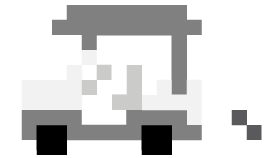 Hole #18 – Up, Up, Down, Down, Left, Right, Left, Right, Select, Start. Cheat activated! $10 tee up your drive 50yds closer. $20 tee up your drive 100yds closer. $50 tee up your drive 200yds closer. Think of this as an extra life. One more shot at glory! No limit on amount of mulligans purchased! Similar to a Mulligan, this allows a player to pick up his or her ball and lob it onto the green instead of having to try that tough chip or chip from the sand. Player pre-buys before play. Breakfast is $20, unless it is included in the sponsorship package you choose. Lunch will be provided to all participants. Combine your team and hole sponsorship and save! One four-member team with two carts. Decorate a hole any way you’d like with your company’s logo and colors, etc. Don’t have three friends to play with? Don’t worry, we’ll find a team for you! Have an idea, let us know and we will design a sponsorship package for you! We are accepting donated raffle prizes and items for gift bags! 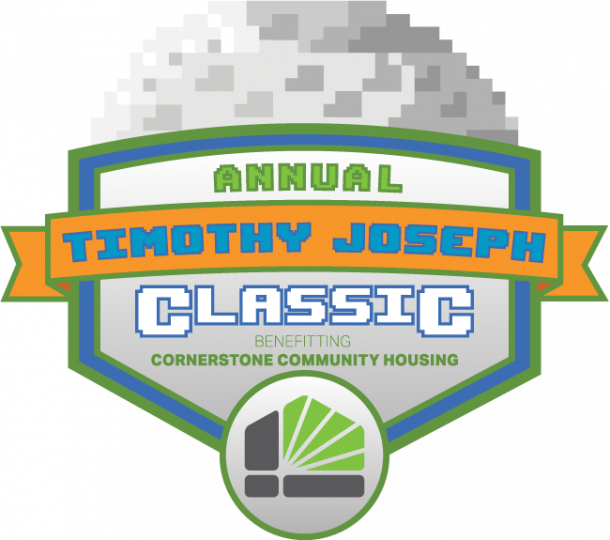 You don’t have to be a sponsor to support the Timothy Joseph Classic benefiting Cornerstone Community Housing. All are welcome to this golf tournament and we are happy to receive as many volunteers as we can! If you are interested in volunteering at the Timothy Joseph Classic, please contact us! Get updates for the Timothy Joesph Classic! 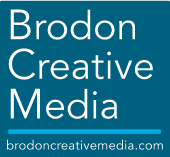 Join our mailing list to receive the latest updates, reminders, or event recaps.